The Ariana Institute’s Self Care for the Massage Therapist Manual is part of a series of massage manuals that are designed to help deepen the knowledge of current massage therapists and introduce new massage therapists to the world of massage and bodywork. This manual incorporates detailed protocols, photos, links to online videos, marketing strategies, personal stories, and resources to encourage a comprehensive understanding of self care modalities beneficial for yourself and your massage practice. Here’s a personal story about meditation featured in the Self Care for the Massage Therapist Manual. Meditation has been my saving grace. It has afforded me the opportunity to focus inward, deeply rejuvenate, gain valuable insights, heighten my well-being, and expand the depth with which I can connect inwardly and with those around me. I initially came to meditation through music. I had a friend in college who was a musician and he invited me to go with him when he performed for a meditation group near my home. The group focused on the teachings of Hazrat Inayat Khan, a prominent spiritual teacher from India, as well as teachings from Buddhism, Christianity, Judaism, the Native American traditions, Hinduism, and many other religions. I immediately felt drawn to the sweet energy of this group and began participating in meditative activities, which included studying and paying homage to these religions. We would light a candle for each of the world’s religions and read scripture from the respective holy books. Having grown up in a small Methodist church in San Antonio, this was a true awakening for me. I loved studying and honoring scriptures from many religious and spiritual traditions around the world as much as I loved the dance, the breathing practices, the retreats, the focus on sound, the sense of community, and the heart of the meditations. It was a calming and restorative focus for me during a time when I had just graduated from college and was trying to find my way in the world. Although I’ve moved on from the old boyfriend and the group, I still stay in touch with many friends from this group and count them among my life-long friends. 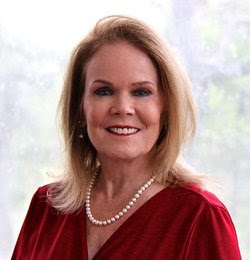 In a more traditional academic setting, I gained another very powerful experience that deepened my connection with the meditative path when I studied transpersonal counseling at John F. Kennedy University in California in the mid-80s. Several of the courses I took propelled me into a deeper study of meditation and the positive effect of meditation on the body, mind and spirit. As my life has progressed, and the meditation groups ceased to be as active as they had been in previous decades, I utilized more adaptive options for myself. More recently, I’ve attended Ecstatic Chant workshops at the Omega Institute in upstate New York where luminaries in the spiritual community came together to chant and sing and enjoy fellowship. Those events were quite transforming and profound. While meditation can often be a solitary practice, it is always a pleasure to connect and reconnect with kindred spirits on the spiritual path who are interested in meditation, contemplation, and taking time out of their busy schedules to rest and reflect and find that indwelling place of peace. The synergist energy that is created when people meditate or pray together can be quite profound and transforming. While I know that meditation is not for everyone, it has been a valuable calming and centering tool for me. I respect and appreciate whatever vehicle people may use to bring themselves to a point of stillness in their lives so they can restore themselves to balance and peace. Ariana Vincent was awarded the 2015 CE Provider of the Year Award by the Alliance for Massage Therapy Education. She is a Nationally Certified Massage Therapy Instructor whose classes are accepted throughout the United States. Ariana is also a Massage Therapy Hall of Fame Honoree and author of the Ariana Institute’s therapy manual series available on Amazon. 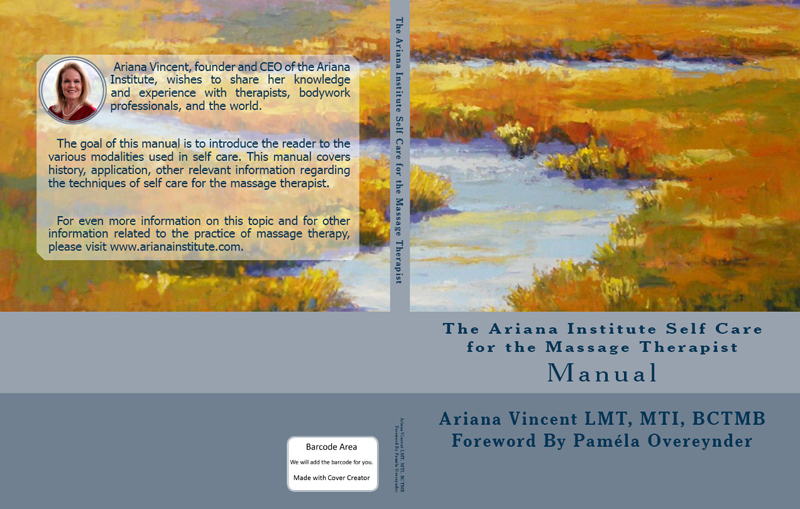 To read the foreword of the Self Care for the Massage Therapist Manual, visit https://www.arianainstitute.com/the-ariana-institutes-self-care-for-massage-therapists-manual-and-ce-courses/. The Ariana Institute’s video introduction to the Self Care and Body Mechanics, Stretching and Breathing, Meditation as a Therapeutic Tool and Mindfulness in a Therapeutic Setting CE courses can be accessed on the Ariana Institute’s YouTube Channel at www.youtube.com/user/ArianaInstitute. To order your copies of the Ariana Institute’s Self Care for the Massage Therapist Manual, visit www.amazon.com/author/arianavincent.